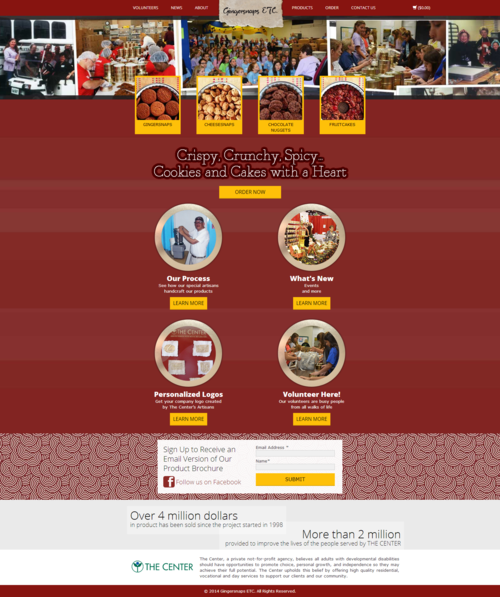 Aleberry Creative is honored to be a part of the website re-design & launch for Gingersnaps ETC, a Houston tradition and 100% volunteer-driven organization that serves The Center (another great client)! 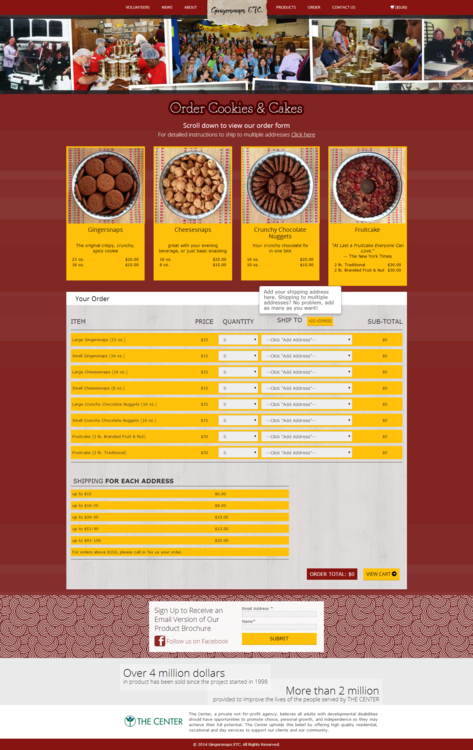 Along with Marketing Refresh, Comal Productions and Gingersnaps ETC founders BZ & Alicia Lee, we designed a more efficient, responsive, and user-friendly website and checkout experience. The re-design showcases the hard work of the volunteers, maintains the classic Gingersnaps branding, and showcases elements of the unique tin-making process. For those of you who are not familiar with this Houston tradition, Gingersnaps ETC started in the kitchen of Alicia Lee, who volunteered with Barbara & George H. Bush. With the recommendation of Barbra Bush, Alicia quickly expanded the project into the kitchen of The Center. Each tin has a unique story and handcrafted element that makes it a great holiday (& year round) gift. All proceeds go to the 600 adults with developmental disabilities served by The Center. Since it’s inception, Gingersnaps has contributed over $2 million to The Center. Keep the tradition going, and pick up a few tins for the upcoming holiday season!